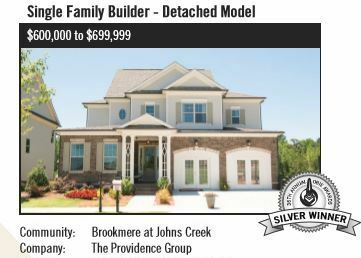 The Johns Creek community of Brookmere at Johns Creek has homes and townhomes that are built by The Providence Group, and located in North Fulton GA.
At time of post, list prices for townhomes as listed in the Georgia MLS, is between $317,500 to $401,435. List prices for homes, $479,900 to $657,895. Real Estate built from 2015-2017+. Amenities include a gated entrance, community clubhouse, swimming pool and tennis courts. Also included in the HOA fees is maintained lawns providing a low maintenance lifestyle. Townhome residences, at time of post, pay HOA fees of $210.00 a month with an initiation fee of $1,260.00. Home owners pay a HOA fee of $1,980.00 a year with an initiation fee of $300.00. Location:This gated community of homes is located on McGinnis Ferry Road at Bell Road. Convenient to the GA 400 and Peachtree Industrial Blvd. Directions: North Peachtree Industrial. Left McGinnis Ferry, travel approx. 2 miles then left on Bell Rd. Brookmere will be on the left. OR North on Peachtree Pkwy (141) & turn right McGinnis Ferry. Travel approx. 3 miles to right on Bell Rd. 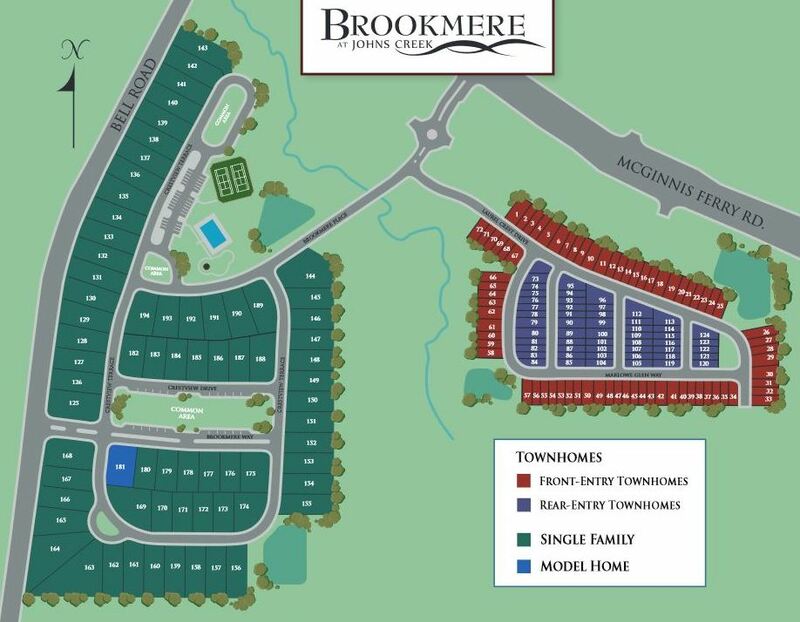 Brookmere will be on the left. Streets in the neighborhood include Brookmere Way, Crestview Terrace, Laurel Crest Alley, Laurel Crest Alley, Laurle Crest Drive, and Malowe Glen Way. 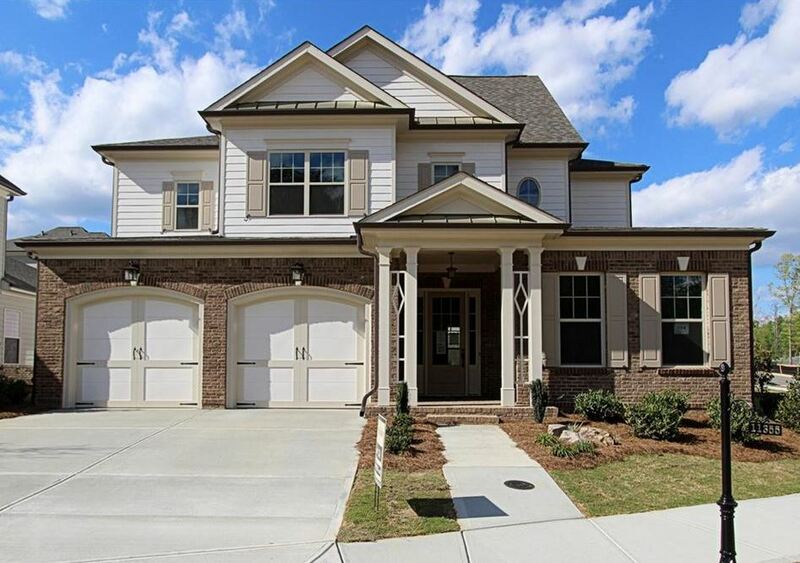 This entry was posted in New Construction, Northview High, Real Estate In Johns Creek, River Trail Middle, Schools, Schools, Shakerag, Townhome In Johns Creek and tagged in Homes For Sale 30097, North Fulton Gated Community, The Providence Group.